The idea of an independently owned coffee house, serving wholesome food and drinks with music was simply a shared dream, until Jef Gibbs’ untimely death in 2014. Jef’s Café was built in his memory…. A place to meet with family and friends to enjoy great conversations, music and delicious homemade-style soup, made-to-order sandwiches, wholesome baking, loose leaf teas and, of course, Good Coffee! 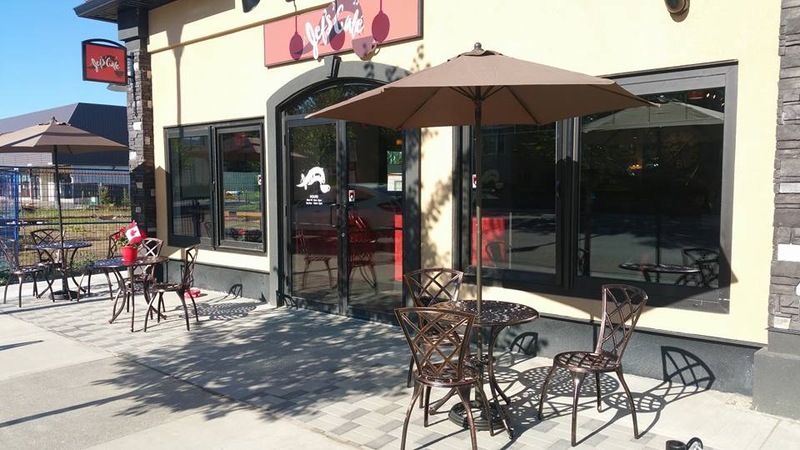 We invite you to stop by and experience Jef’s Café in the heart of Beaumont, Alberta at 5012-50th Street. 2016 Beaumont Town & Country Daze Parade! 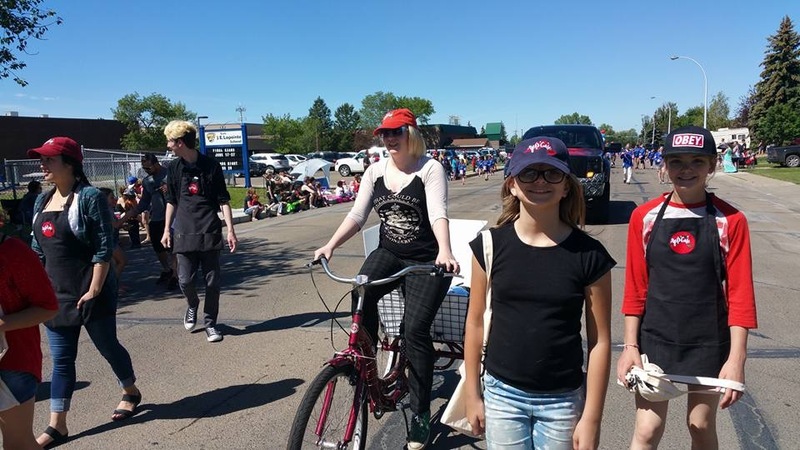 Jef’s Café team at the parade riding our 3-wheeled tricycle! Our new patio with outdoor seating is open! Come soak up the sunshine and eat something yummy on our new patio.